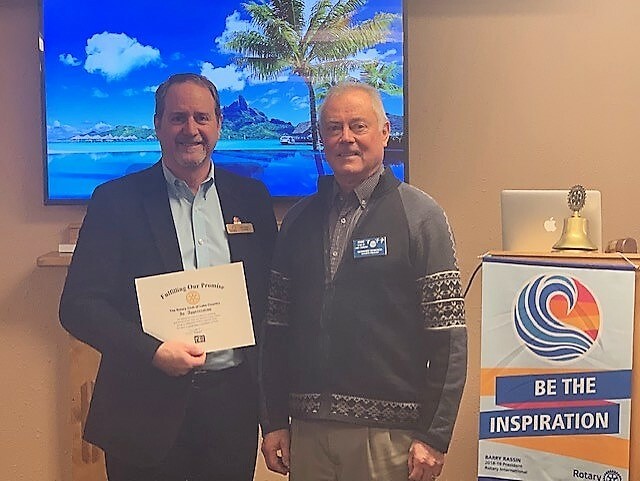 “From the outside, you shouldn’t be able to tell that it’s affordable housing,” Kelowna councillor Luke Stack told the members of Rotary last Thursday. Stack is also the Executive Director and a founder of the Society of Hope, which currently operates four groups of houses and apartments in Lake Country – Cedar Court and Pinewood Villa on Bottom Wood Lake Road, just north of the municipal offices, and Woodsdale Place and Providence Meadows on Woodsdale Road. This year is the 30th anniversary of the founding of the Society of Hope. The original incentive came back in 1989 when Stack and some friends recognized the need for housing for a number of single parents who couldn’t afford the rents in Kelowna. The Society of Hope is now the largest provider of affordable housing in the Central Okanagan. Their facilities are available to low-income families, seniors, and people with mental health problems. They now have 700 rental units from Lake Country to Peachland. Recognizing that low-income renters also often lack social support, every complex includes a social component – such as bowling lanes, a meeting area, and a selection of activities such as games, hiking, etc. But no meals. Currently, the Society is working on developing a new complex on Jensen Road, on what had been the Kangaroo Farm below Main Street. 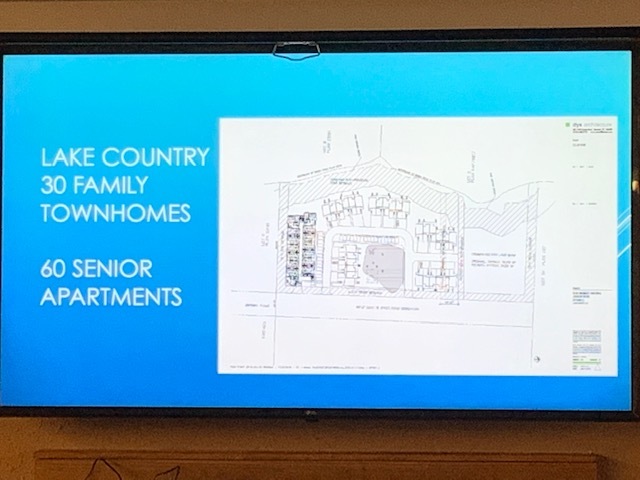 Present plans call for 40 units for seniors, 30 units for families. All would provide subsidized housing. Luke approximated the rental rates: a comparable two-bedroom unit in Kelowna would rent for $1600 a month; the Society would provide the same unit for $900 a month. The actual figure would vary, depending on the renter’s income. Generally, he said, this is transition housing. The renters need the subsidized rates for three to five years, before they are able to move on to their own homes or apartments. 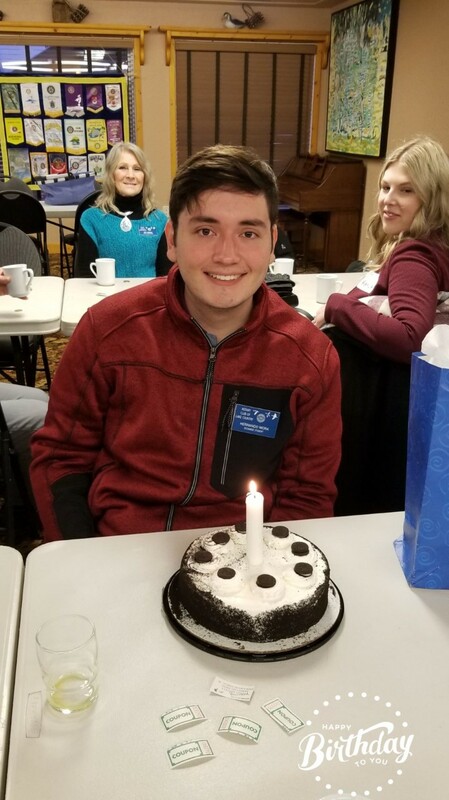 Our Columbian exchange student, 'Nando', celebrated his 18th birthday last week and didn't seem to mind consuming some chocolate birthday cake with breakfast. Happy birthday, Nando. It's been a pleasure hosting you this year.